The Report Builder XBRLizer+ works as a spreadsheet where, clicking on a cell, provides automatically all the necessary information, that is, company’s name, reporting period, associated dimensions , measurement units or currency. 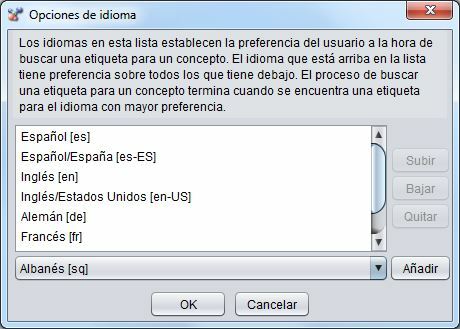 All these data can be edited and changed later manually, or the tool will be prompt the user in the case the value is not automatically detected. 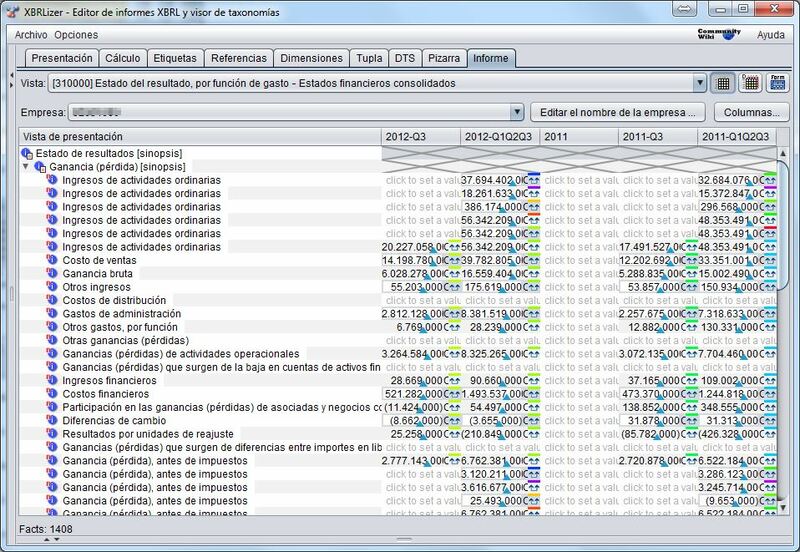 Regular and multidimensional view: If a taxonomy contains XBRL dimensions, informs can be viewed as a one dimension or as a multidimensional table. 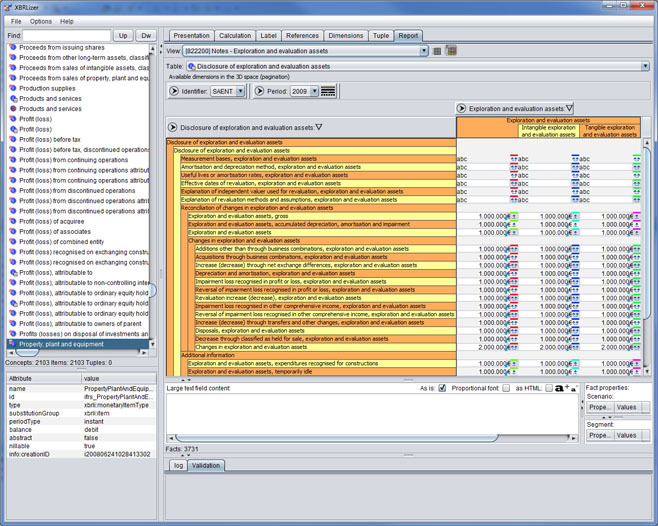 In multidimensional view, users can rearrange dimensions in order to set the report according to their needs. 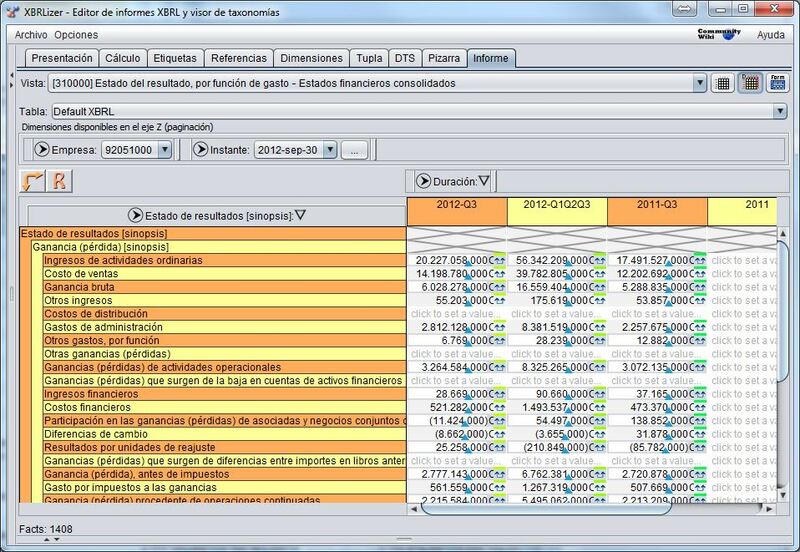 Menu Export (Excel) generates an Excel spreadsheet with the current content on the screen. download this tool by clicking here.